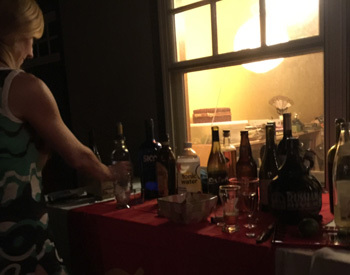 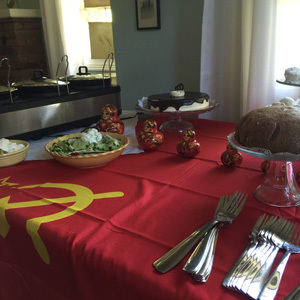 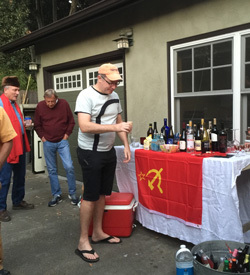 Turnout for my Soviet-Space-Age-themed birthday party exceeded expectations. 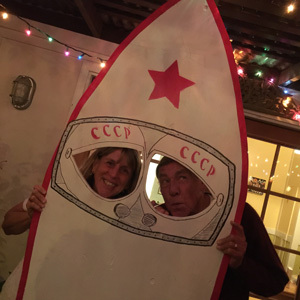 And most guests came either in costume or with vodka - some with both. 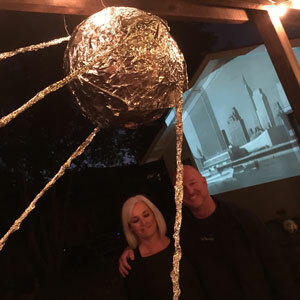 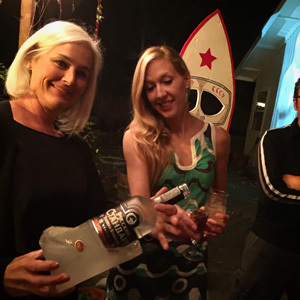 Andy had spent a highly lubricated afternoon a few days before crafting a spaceship photo booth, and every guest had to take a turn in it while Nicole led me on the rounds, ice-encased vodka at hand to ensure everyone drank a toast to me, the birthday host.